Slideshow: There's more to the GLE than meets the eye. Here's an analysis of the new Mercedes SUV's design, courtesy of your resident automotive designer. 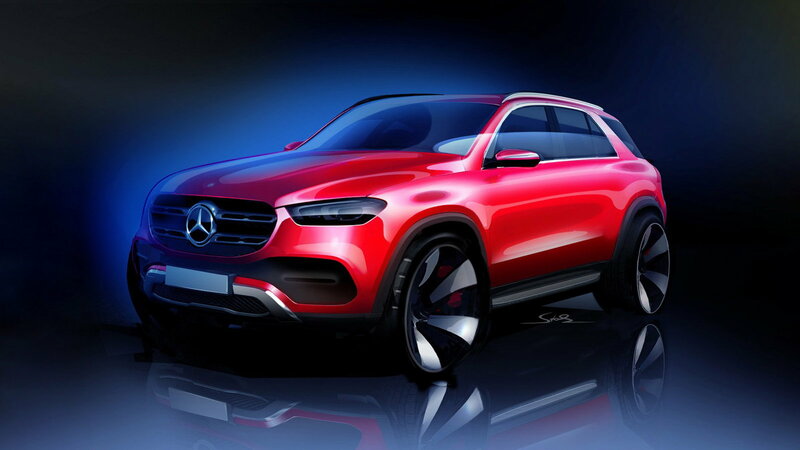 While the above sketch is definitely a post-production sketch, (manufacturers rarely release original pre-production artwork) it tells us a lot about the intention of the designers with the new GLE. In many ways, it has a more powerful presence than the current GLE-Class, and certainly exudes more personality, as well. And the recently debuted production-ready SUV hopes to establish itself in the market as a fun, capable, spacious, and well-versed luxury SUV, fit for the customers' everyday needs, and then some. The styling certainly tries to convey that same message. >>Join the conversation about the design of the new Mercedes GLE right here in MBWorld. 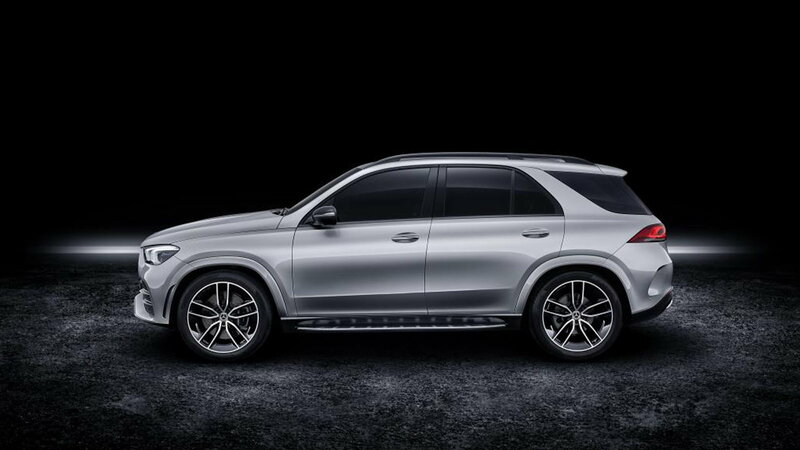 The exterior design of the upcoming GLE is, in philosophy, a meeting of two different aesthetics. 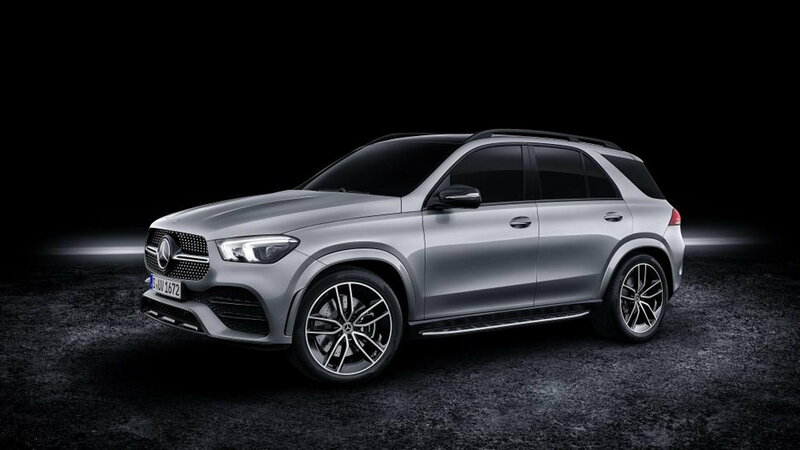 The designers have aimed to display the signature sensual Mercedes-Benz exterior styling cues and form language while also sending a message of ruggedness and off-road capability with the SUV. These two ideas seemingly come together visually at the parting line between metal and plastic parts. 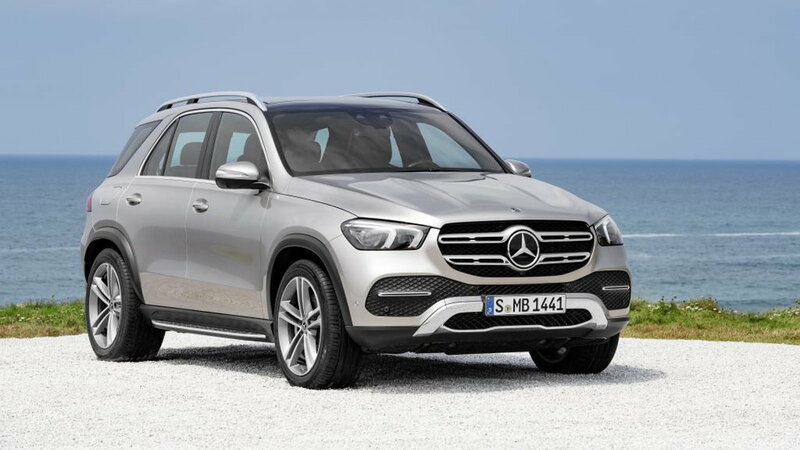 But unlike many other utility vehicles that use the same method for styling differentiation, the Mercedes shows more of a smooth transition in surfacing from the sheet metal to the plastic. This transition is apparent as the streamlined and pure aesthetic in the body interacts with the lower section: in the muscular fender flares, the higher position of the body side character line, as well as the more aggressive styling of the bumpers. The same philosophy is followed in the design and styling of the interior as well. 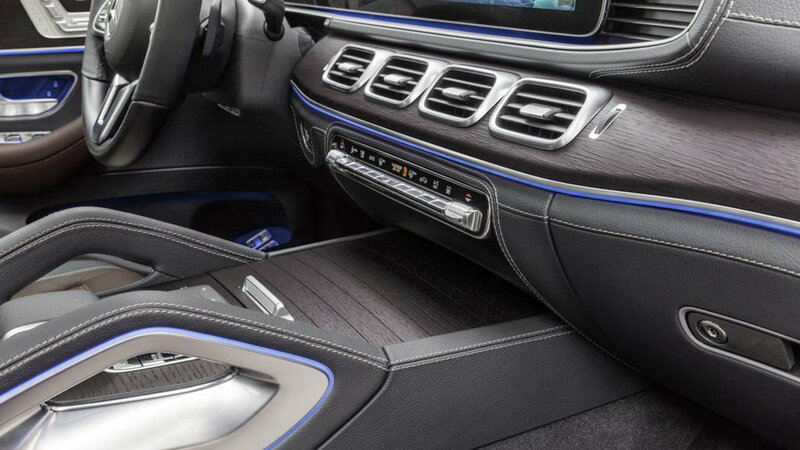 There is no denying by looking at the new GLE's instrument panel that compared to the current model, not only does the new SUV embrace the ideals of Mercedes-Benz interior styling more closely, but it also finds a way to convey its message of utilitarian luxury. Without even getting too deeply into the aesthetic language of the interior and how it's differentiated from other models, the first obvious characteristic of the GLE has to be the squared air vents. The car also shows a lot of the same family of equipment that we see in other Mercedes products, but not without inserting its own personality into it. The double grab-handles on the center console also do a nice of job of screaming sports-utility. And just by watching the introductory video for the GLE, it is easy to see how those ideas of sportiness, utility, capability, and 'maximum-fun' would have been included in the initial design brief. 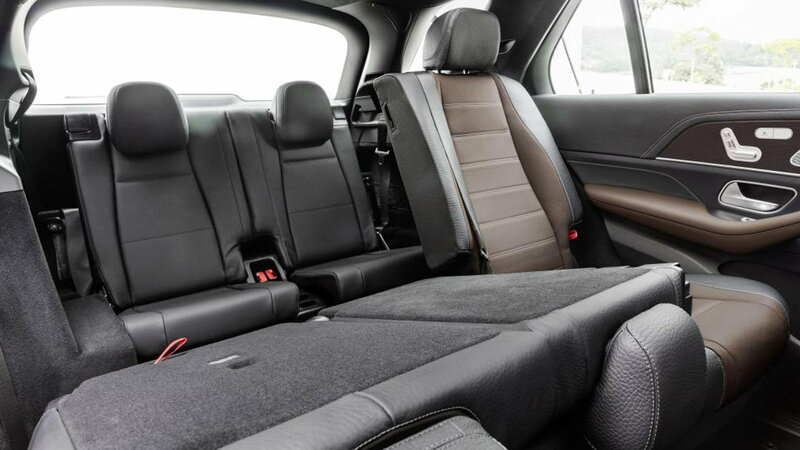 The Mercedes SUV is being presented as a fun car for families and groups of friends to enjoy with plenty of cargo capacity and enough performance to get you where you want to go. Piggybacking on the subject of user experience, it is worth mentioning the incorporation of the interface, as well. The touchscreen MBUX infotainment system is advertised to be an even better version of the one introduced earlier this year in the A-Class. And with a plethora of driving information and setup options, and considering how rapidly MBUX has been improving with each iteration, the idea of the system slowly becoming the most intuitive in the industry is quite believable. Having gotten my objective observations out of the way, it is time to let some opinions flow! I always analyze auto styling in three stages. The first being my immediate impression, the second, my opinion having extensively studied it, and lastly, having seen it in person and on the road. Of course, with the upcoming GLE, we are currently at stage 2. But I have to say I was a bit underwhelmed upon my first look at the car by a certain lack of personality. 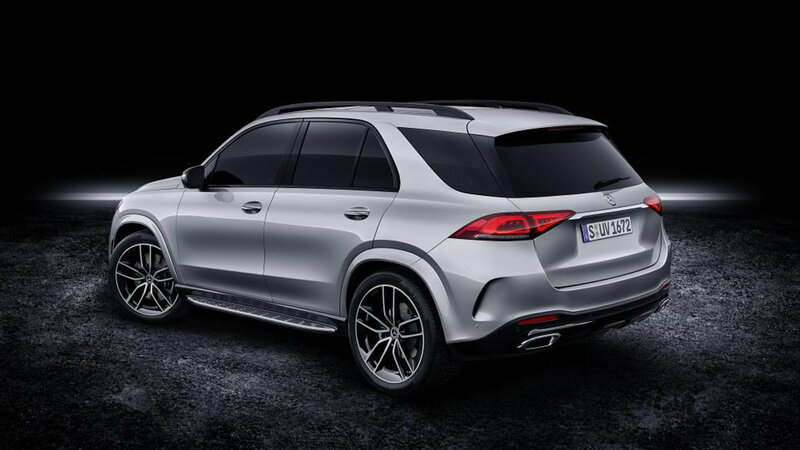 Nothing immediately jumps out at you with this GLE. But having thoroughly examined the design inside and out, I can certainly appreciate the direction Mercedes has taken with it. In fact, not only is the design impressively homogenous and well-thought out but considering the competition, I have a feeling that this SUV will be one of the best-looking in the class, if not the best. What are your thoughts?